In the Mainstream Pokemon Games, Latios is one of the best legends you can have, being clearly better than its Eon Duo Counterpart Latias. In Pokemon GO, the same thing remains true. Unlike most Legends, Latios exceeds a Maximum Combat Power Level of 3600. This is far better Latias, who can’t even reach a Maximum Combat Power Level of 3400, as well as other Legends like Mew, Celebi and Jirachi (less than a 3100 Maximum Combat Power Level) and even Lugia (who can’t even reach a 3600 Maximum Combat Power Level). Believe it or not, Latios is virtually just as strong as Rayquaza in Pokemon GO, the same who is a Hoenn Region Cover Legend. 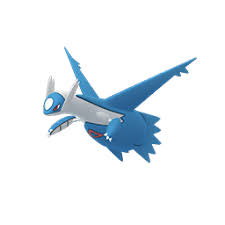 It’s odd for a Legend Pokemon to be just as good as a Cover Legend, but for Latios’ sake in Pokemon GO, it means it’s clearly one of the best Legends currently found in the hit mobile game. The only real knock you can have against Latios is that is received a far less great moveset than that of Latias. On top of having the Special Attack of Psychic, Latios can also have the moves of Outrage or Thunder, two of the strongest attacks found in the game. Latios, however, can only know Dragon Claw and Solar Beam (as well as Psychic) as its Special Attacks, two moves that are far less powerful than the ones Latias received. It would’ve been great if Latios had received the same moves as its Eon Duo Counterpart, as it would’ve made it all the better. It’s understandable, however, why Niantic gave it the moves it did though, as Latios would’ve been almost too overpowered if it also had a move like Outrage.